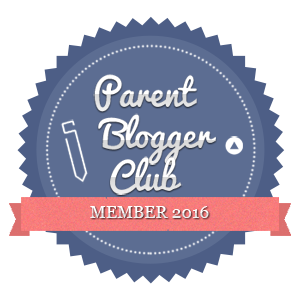 Piccolo Introduces Piccolo Pots – Let’s Celebrate With Pasta! Bonjour lecteurs! You may be aware by now that Baba is a bit of a gourmet. He likes good food as he is half Frenchie and he is always after new fab meals! As Piccolo Introduces Piccolo Pots for toddlers like Baba, we thought we might share with you the little party we were invited recently to celebrate it! To celebrate the launch of new the Piccolo Pots of Mediterranean Goodness, we were invited to a traditional pasta making workshop in London. It was so much fun! 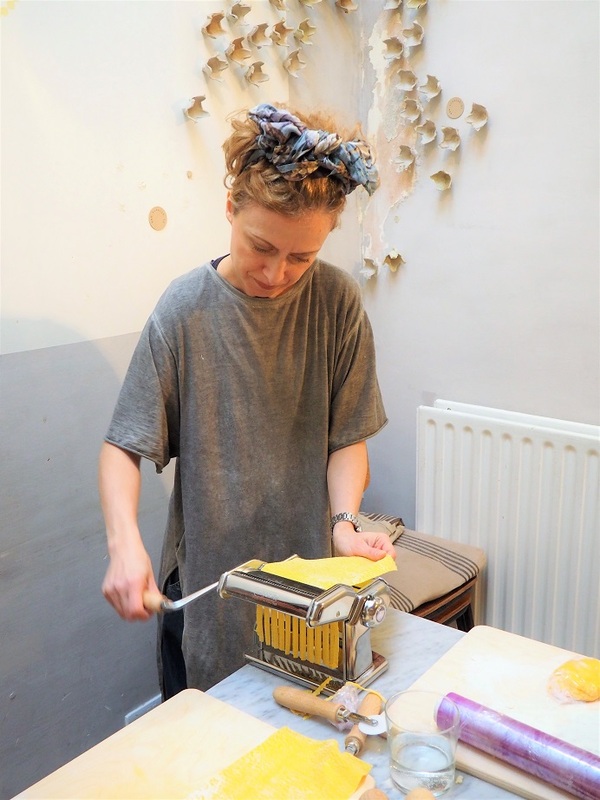 Situated at Burro e Salvia in Shoreditch, we started the event with some Italian coffee before Frenchie Mummy got her hands dirty and she was very proud to produce some good pasta! All ready to use my magical powers! Surprise surprise, it is actually not that difficile! Doing it like a pro! Non, vraiment! Let’s show you another pro in the making! Et voilà! Our Butterflies are ready to be eaten! Later on in the evening, Baba had a feast with my (so proudly!) made Fresh pasta! Once again, Frenchie Mummy was acting as a grand chef in the kitchen! And making some cool Italian food! Not feeling like you want to do that every single day to make sure your little one has some healthy food? Pas de problème! Piccolo is here to help with its new pots of Mediterranean goodness! Finding some healthy substitute for your little one when you can’t cook yourself is not that complicated anymore! Do you have a fussy eater at home? Then, try some Piccolo Pots! It’s the first ever split pot baby food in the world. 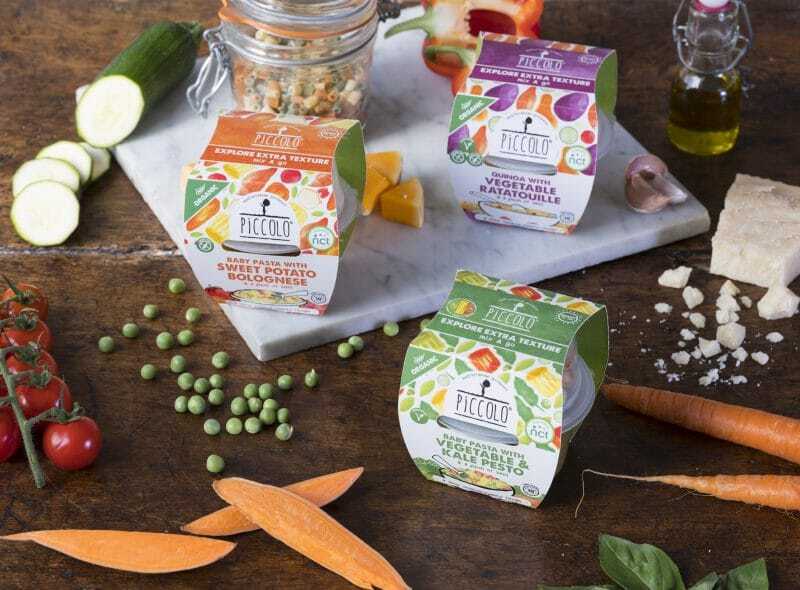 Suitable for Stage 3 and above, Picollo Pots are a delicious range of meals based around textured grains with some vegetables! The pots are split so that the nutrients are kept and the grains preserve their texture. What do we like about them? They remind us of our childhood with some great Mediterranean recipes. Baba loves the Quinoa with Vegetable Ratatouille. The pinch of Basil gives it such a good taste! Plus, offering texture to babies can help with many forms of development. Exit the boring baby purée! Let’s have fun while we eat! But Frenchie Mummy has some idées for the brand to develop later on: Niçoise Salade and Scallops à la Provencal. Some healthy Frenchie food here! Or the brand’s next recipe could include some Camembert and onions peut-être? I reckon that Cat Gazolli, the Picollo’s founder would be totally on board with this! 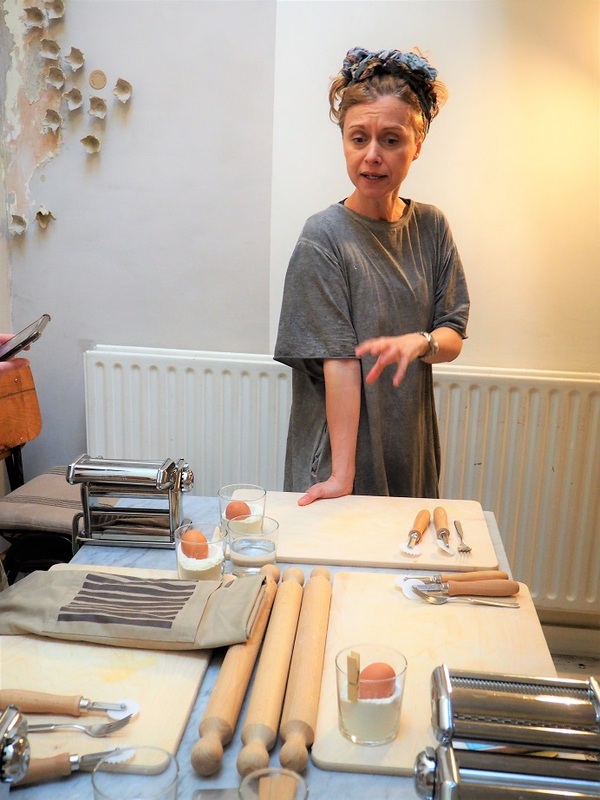 I actually had a word with her when we met up at the pasta making workshop! In the meantime, try the Picollo Pots now available from all good supermarkets. 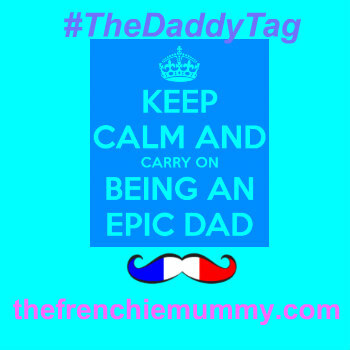 Your little one will say merci for this! Disclosure: We were invited to a Pasta Making Workshop for free. All opinions remain our own. I have to admit that looks like fun. 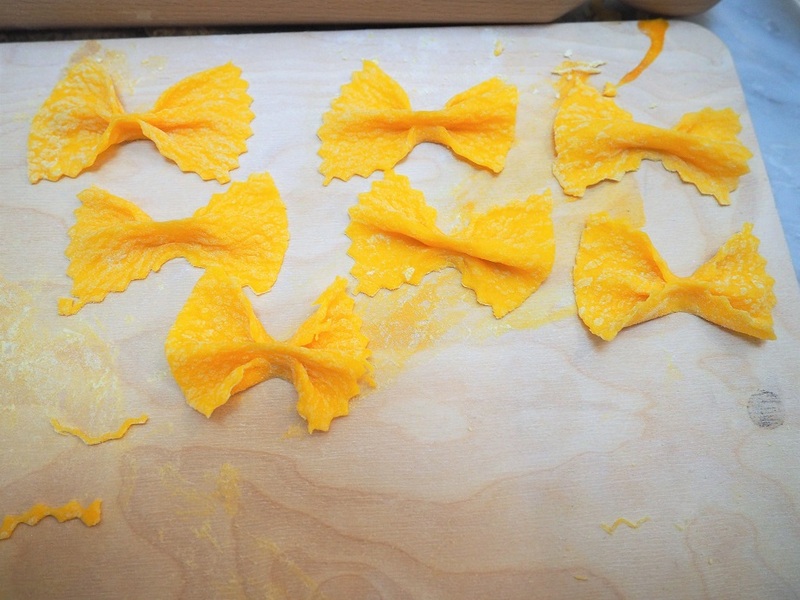 I don’t like pasta , I know ,I know but these pictures are making me think I could be missing out on something special – the work that goes into it is definitely an art form. I’m glad you enjoyed it and I’ve no doubt it tasted a million times better than the pasta I don’t particularly like ? I’ve never made my own pasta before but it is something I really want to try at some point in my life! Love that you got to have a go yourself (and they were very pretty, by the way). The Piccolo Pots are the sort of thing I would have definitely bought for my kids when they were little! Wow, this one sounds like an amazing experience. I would love to go to a pasta making class. Can’t beat fresh pasta at all & your pasta looks great. I love that they have little pasta pots for the kids, going to try little bear on this. The session looks fun and interesting. I think my attempt would be a disaster. What fun the pasta class looks. I love the idea of French-inspired pots to come in the future and welcome tasty vegetarian pots that are available now. Babies’ and children’s food has come a long way in the last decade! We’ve made pasta before – you’re right, it’s so much fun! I received a pasta making machine for Christmas and love making my own! Tastes so much better! I really struggle to find veggie meals on the go that are healthy and not full of cheese and salt. These look perfect. Baby food is so much more exciting now than twenty years ago – so impressive! I will keep a look out for the Piccolo Pots next time I go shopping – it is important to gently introduce various tastes and textures nice and early before little ones become too opinionated and set in their ways! 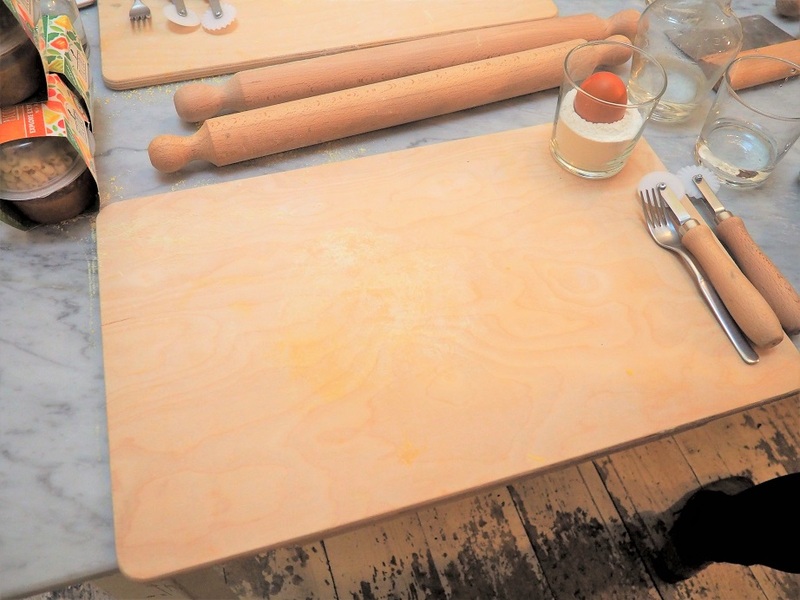 Wow – would love to try making my own pasta! 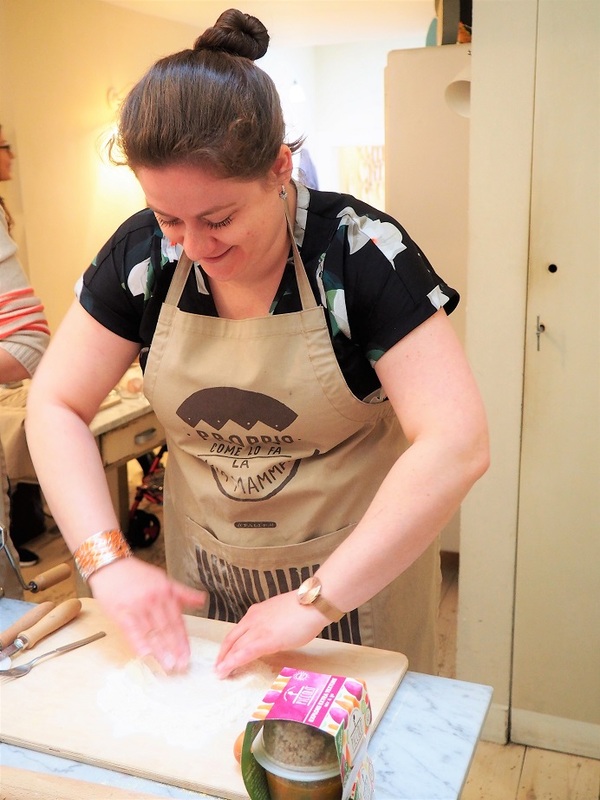 This looks like great fun…bet you had fab time…would love to do pasta making! Previous Previous post: Baba Fashionista with Grass & Air and GIVEAWAY! Next Next post: Living Arrows 14/53 – Baba Loves His Scooter!